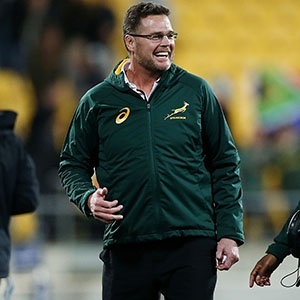 Erasmus, SA Rugby’s Director of Rugby, confirmed that the squad will be further bolstered on Saturday when a number of other players have concluded their provincial duty in the Currie Cup. Furthermore, Willie le Roux (fullback) and Francois Louw (loose forward) have returned to their English clubs after the pair featured in the Springboks’ four tournament matches to date. They will not feature in the two home Tests.